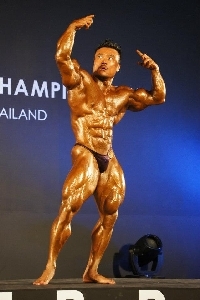 WBPF World Bodybuilding and Physique Sports was held on the 7th to 9th of Dec 2012 in Bangkok, Thailand. It was a great contest with world class bodybuilders. I won the Masters class (40-49 yrs) out of a big field of 17 contestants. 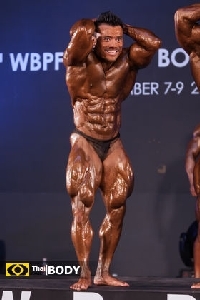 The contest was competitive and i won based on my symmetry and mass. 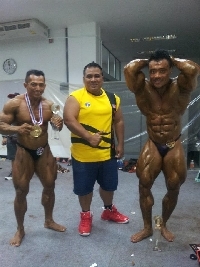 Silver was won by an Iranian and bronze went to a Thailand bodybuilder who also won the bantamweight category.